Used, but fully functional. Tested and working. Unit was also tested with batteries and can run off 6 AA batteries and be fully portable. YAMAHA QY70 MUSIC SEQUENCER QY-70 Used. Condition is Used. Shipped with USPS Priority Mail. 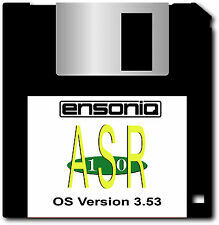 ENSONIQ ASR X REFURBISHED!!. Condition is Seller refurbished. Up for auction is an Ensoniq ASR X unit that has been gone completely through and refurbished. 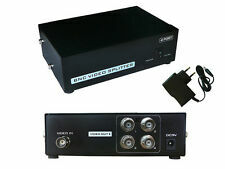 It has new encoders and volume knob, and power supply overhauled as well as memory strips. This has the scsi installed and everything about this unit is 100% functional. All pads responded nice and equal and this unit is ready to make beats for a long time. Overall, it has various scratches and scuffs for its age as you can see from pictures, but its in pretty good shape. Email me any questions you may have. S&H will be $35 . International bidders will go through ebay global shipping only and final. Check my feedback and other Ensoniq gear and disk libraries. Happy Bidding and God's speed !! INTERNAL SCSI Cable for the AKAI MPC 2000. 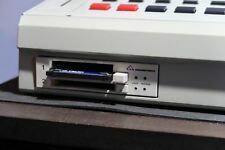 This cable allows you to connect an internal SCSI drive to the external SCSI connection flush on the back of your MPC2000. So there is no soldering involved. Ensoniq Mirage Keybord. Condition is Used. Here we have a cool old school Mirage keyboard. These require a disk inserted to make sound, I don’t have disks. I have the manual which is in torn up condition. I’ll pack this very sturdy with lots of padding for a safe trip anywhere. I’m glad to answer questions promptly. Thanks! I can't recall but I think the hard drive I installed inside is 300GB and there is still plenty of space left. The sounds are mostly Hip Hop and Dance related but quite frankly you can do anything with these sounds. Fair condition. Has power cord. Works great. Free 30 day returns if you have any issues at all. Yamaha SU700 Sampler Sequencer with power cord. Unit powers on and samples fine. Screen shows time values. Will ship this for free via economy or ground whichever is cheaper. Thanks for looking! Nice Roland SP404 original version (which many say surpasses the later in a few key areas). Korg Volca Sample Sequencer with Box, Like new, maybe 20 minutes of use (I have two!). Video of the exact Volca Sample you will be getting. Roland SP404SX Linear Wave Sampler. Shipped with USPS Retail Ground. Roland SP-808 Groove Sampler Desktop Sequencer. Condition is Used. Shipped with UPS Ground. 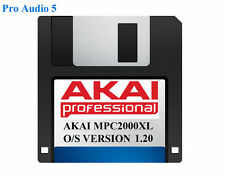 I’m selling a NEW Akai Professional MPC X Standalone Music Production Center for $1600 OBO. This is NEW unit in the box and has the manual, screen protector and all accessories. I’m selling it because I bought for a recording session for a VIP producer that requested it and now I don’t need it for my studio. Kept in smoke-free control room and is in FLAWLESS condition. Feel free to message me with any questions. Vintage Ensoniq EPS Keyboard. Condition is Used. Here we have an old school Ensoniq EPS keyboard in good condition. I found a manual for it, but the manual is in bad shape and kinda nasty, if you don’t want he manual let me know and I’ll trash it instead of ship it. These old keyboards require a disk inserted for sound, I don’t have any disks. I’ll pack it very carefully for a safe trip anywhere. I’m glad to answer any questions you have promptly. Thanks! Elektron Octatrack Mk 2 DPS1MKII Stereo Sampler & Sequencer Machine. Excellent condition. No scratches. Comes with all of the original packing materials, usb cable and 16 GB CF card. For sale is a fantastic Akai MPC Touch music production center. E-MU E64 sampler for sale,in good condition. the manual i have with it is japanese. Akai MPC 2000XL Blue Edition. This is an used unit and being 20 years old (the Akai MPC2000XL was released in 1999!). CF Card drive (non hot-swappable) with1GB CF card included loaded with drum kits and a power cable to help you start making beats just out of the box! Arturia DrumBrute Creation Special Edition Analog Drum Synthesizer Drum Machine . Condition is Used. Comes with Original box and power supply. No Scratches. Perfect Sound. Yamaha RS7000 in Good Shape, Very Clean. Heavy Sequencer. Fully Functional. All pots are in good shape, knobs are not wobbly. There are a few lines out on the display, 6 lines I believe but still functional. You get 300 files in WAV format and REX2. This kit includes top of the line samples to step up your production to the pro level! This is a used unit and being 20 years old (the Akai MPC2000XL was released in 1999!). Akai MPC2000XL. CF card drive (non hot-swappable) with 1GB CF card included loaded with drum kits and a power cable to help you start making beats just out of the box! Excellent overall condition! Mint buttons! Includes power cord. This is a very rare 24-bit sampler from the 1990s marketed towards DJs. Rare Next! 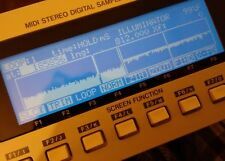 DJS-24 24-bit Digital Sampler. Condition: Fair, scratches on surface. Item powers on but NOT fully tested, SOLD AS IS for parts since it's not fully tested. Custom made labels styled for the Emax. The essential collection for all Emax users. These zip disks will not work with the Emax 1. ZD840 Emax Trills. ZD814 Emax Cymbals. They are NOT floppy disks. INVENTORY #35658. 32Mb (8 4Mb Sticks of RAM). WORKING CONDITION: Poor - Powers up just fine but freezes before it finishes booting up. Overall working condition is poor. FUNCTION: 16-bit Sampler. Otherwise it is very clean and in very good condition. Use it as an effect or a part of your signature sound that stands alone on the food chain. Take the beat off the leash with fully tweakable kick, snare, open and closed hi-hat, and accent percussion sounds. This SCSI internal cable kit allows you to connect the SCSI SD drive to the external SCSI connection flush on the back of your MPC2000. So there is no soldering involved. 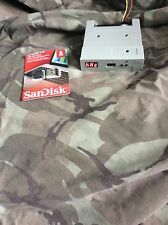 Just run the ribbon cable under the top of your casing, connect both ends, 1 to MPC the other to your SD drive. EXTERNAL SCSI2SD v5.1 Board and Case. These areTHE NEW SCSI2SD Version 5.1 boards within a handy ultra-small case with an external DB25 jack. They use a regular-sized SD card, and most samplers do not require power. Korg Triton. AKAI MPC2000 - 2000XL. AKAI S2800 - 3200. 1 - SD SCSI Drive. This drive has been tested with multiple samplers and synth's that support SCSI drives. The default SCSI ID is set to 0. Roland XV-5080. Roland Sound Canvas SC-88. This SC-88 is a vastly improved version of the original SC-55 Sound Canvas but remains 100% compatible. 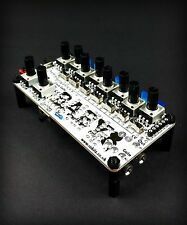 General MIDI / GS expander module. “This is a used IB-304F, known as a ProFilter, 24db Filter Board for Akai Samplers (S2000,S3000,S3200,S3000XL,CD3000XL). In addition to the filtering, this board also allows direct to disk recording to a hard disk. Interface boards: SCSI and AES/EBU digital I/O, both optional. Default sample RAM: 2Mb. Connections: stereo headphones jack, footswitch jack, MIDI In, Out & Thru. Maximum sample RAM: 16Mb. Assignable independent audio outputs: ¼" phono jack (unbalanced) x 2. Yamaha QY100 Music Sequencer Excellent condition Comes with Owners Manual and AC adaptor. Condition is Used. Shipped with USPS Priority Mail. EMU ESI-2000 Sampler (=ESI4000 in silber). -- mit interner 15GB Festplatte incl. ca. 1GB Sounds --. Das Besondere an diesem ESI-2000 ist die interne 15GB SCSI Festplatte, wovon systembedingt maximal 12.8 GB nutzbar sind (max. ). Compatibilità MIDI per una Potenza di Performance DJ assoluta. YAMAHA DJX-IIB. Condizioni di vendita. Uscita cuffie. Midi in-out. Audio Bpm in.